After getting my Gucci bag as a Christmas gift from the boy. 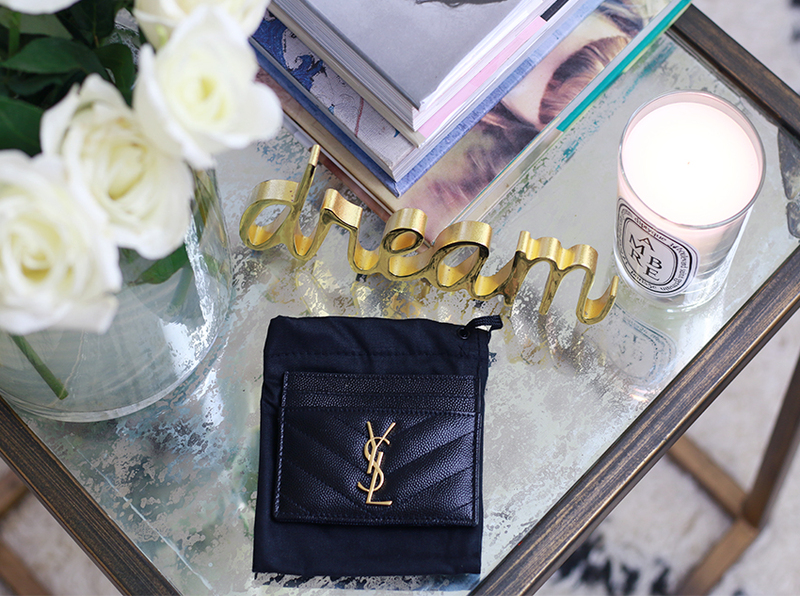 I started browsing Net-a-porter website and fell in love with this YSL monogrammed cardholder in black leather and Gold. It goes so well with my Gucci bag because they have the same chevron pattern going on. This is my Christmas gift to myself and I am in love. 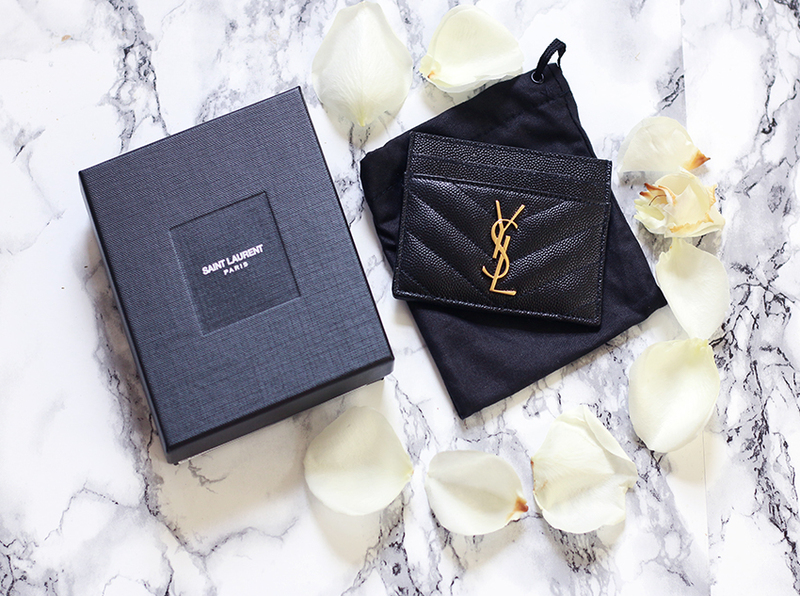 I started watching so many unboxing videos on youtube about cardholder and this YSL one and the Chanel caught my attention. 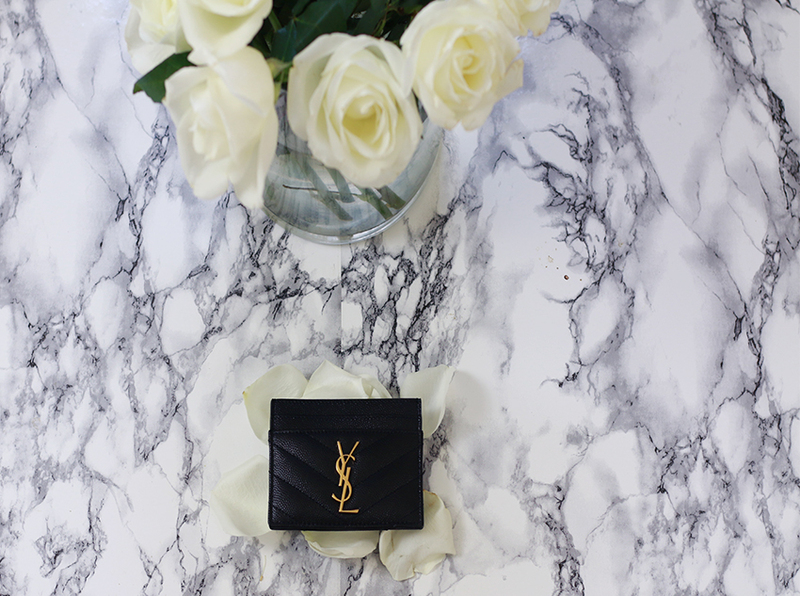 I could not justify spending that much on a cardholder for the Chanel and I went withYSL instead. It's half the price and I am super happy with my decision. If you are on the market for a designer cardholder, at entry level price point, I highly suggest this one. I've seen it in the blush color which I love, I would not mind having two of them. I did an Unboxing video, be sure to watch it and subscribe to my youtube channel.